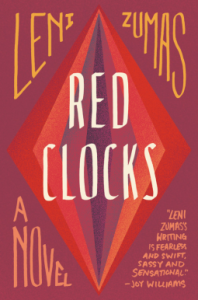 Red Clocks examines some of the ways women navigate the question of whether and how and with whom to have children - and the entitlement society feels to comment on, interfere with, and ultimately constrain these inherently private choices. Each of the book’s five protagonists are compelled to sacrifice pieces of their sanity and dignity in pursuit simple self-determination. The novel is set in a near-future version of the United States, where the newly-ratified Personhood Amendment to the Constitution now grants rights of life, liberty, and property to every fertilized human egg. Not only is abortion now considered murder, but miscarriages can be manslaughter and in-vitro fertilization is banned (because the embryo cannot consent to be moved into the womb). As the book opens, the Every Child Needs Two Act is set to take effect in two months, legally mandating that all adoptive parents be married and obtain government approval before taking in a child. * Ro teaches at the local high school. Forty-two and single, with no interest in romantic partnership, she desperately wants to be a mother. With in-vitro not an option, she has been trying to conceive via artificial insemination, but her age and health issues make conception unlikely. She is also pursuing adoption, but knows that if she does not match with a birth mother within two months, that road will be closed to her too. * Mattie is Ro’s best student, who gets pregnant by her on-again but-mostly-off-again boyfriend. Terrified of ruining her reputation, squandering her academic future, and letting her parents down, she will do anything to get an abortion. Having witnessed the harrowing outcome of her best friend’s attempted abortion a year ago, she has no illusions about what this choice entails physically or legally. Still, as an adopted child herself, she struggles with the feeling that she should have the baby and surrender it to a deserving home. * Gin is a practitioner of alternative medicine who lives in a cabin in the hills above town. Raised by her occultist aunt after her abusive mother abandoned her, Gin is now rumored to be a witch who can control the weather, the sea, and the townspeople’s individual fortunes. In reality, she merely assists local women with various gynecological issues, including providing herbal concoctions to induce abortions. When the school principal’s wife falls down the stairs and slips into a coma after drinking one of her potions, Gin is arrested and put on trial - for medical malpractice and conspiracy to murder the woman’s fetus. * Susan is married to the high school French teacher. She had dropped out of law school to marry him and move back to her family’s old homestead in the tiny town. They now have two young children, and though she loves her kids, she increasingly resents her shiftless husband, who slouches his way through life, only managing to hold down a job because he could teach his native French in his sleep. With no local career opportunities, no time to herself, and seemingly no way to leave her marriage without scarring the kids forever, Susan feels trapped. She is alarmed by the destructive urges that ambush her more and more frequently - to just steer the car off the edge of the hillside road, plunging her and the children into the ocean below. Interspersed with these four women’s stories are passages from the biography Ro is writing about Eivør Mínervudottír, a 19th-century polar explorer who had to hide her gender to gain passage on a scientific expedition, and was later obliged to publish her findings under a man’s name. Eivør’s tale emphasizes the difficulties non-conforming women have always faced, and her perseverance through adverse conditions is mirrored, in one way or another, by each of the novel’s other protagonists. With the exception of Gin and Eivør, whom I found distant and somewhat flat, I loved immersing myself in these women’s stories. 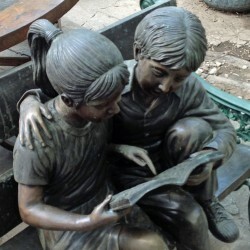 Ro and Susan were especially fascinating, each having reached the age where their youthful choices have solidified into the immobile foundations of their lives. Each resents the other for having what she does not - Ro has a career and independence, but Susan has two perfect children. And Mattie too is a poignant character, brave enough to risk capture crossing the Canadian border for an abortion, but too scared to look her parents in the eye and tell them she has gotten pregnant. Despite how much I loved the characters, their struggles and their courage, Red Clocks didn’t quite work for me because its high-concept dystopian premise felt both unnecessary and toothless. The story could have been set in the modern day with few substantive revisions - and it would, I think, have had more resonance. It’s easy to accept that life would be awful under an oppressive fetus-worshipping regime, and so the premise itself carried too much of the emotional weight, I felt. It would be a harsher critique to show these issues in their real-world setting: There are plenty of women today who can’t conceive and aren’t able to adopt for various reasons. There are plenty of women today who feel suffocated in their marriages. There are plenty of women today who are shunned or falsely accused of horrors because they are seen as different. There are plenty of teenage girls today who face serious financial, logistical, and social/religious hurdles when seeking an abortion. That might honestly just be me, though. I like my dystopias bleak. Oddly, the most chilling, the most traditionally dystopian story in all of this is barely told at all. What happened to Mattie’s best friend Yasmine hovers vaguely in the background of the narrative, but what we can see of it is truly horrific. Ambitious and bright, the daughter of Oregon’s first female Black senator, Yasmine had been determined not to let an unplanned pregnancy reduce her to a degrading stereotype. What she endures is truly appalling - a far darker, more heartbreaking story than Mattie’s, or any of the other women Red Clocks spotlights. I wish we had seen more stories like Yasmine’s, to make it crystal clear why policies like this reprehensible Personhood Amendment must never, ever be implemented.